Nebraska weather « Hercules and the umpire. I am off to Omaha to do five sentencings. It is windy, icy and nasty. Not sure if I will have further posts today. 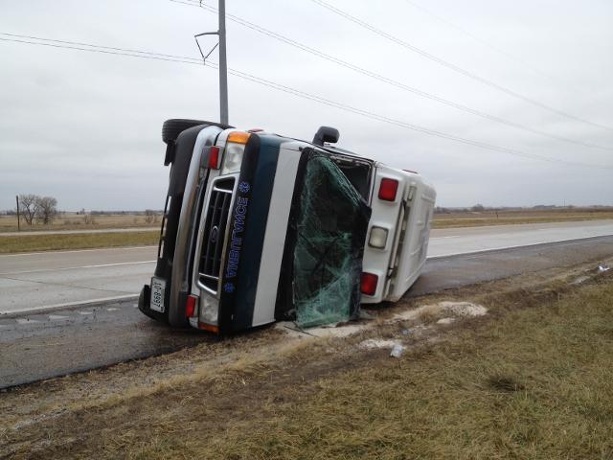 Near Lincoln, ambulance turns over on icy conditions. Photo credit: KETV News.